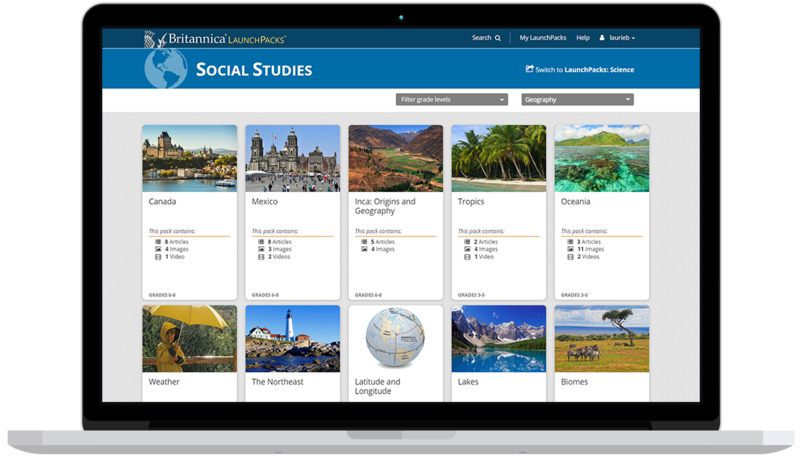 Britannica provides more than 1600 LaunchPacks covering the social sciences and humanities and 1800 for sciences. Organised into manageable topic areas, LaunchPacks are an excellent resource for specialist and non-specialist teachers alike, providing curated and ready to use resources for the classroom. LaunchPacks provide colourful and easy access to relevant, professionally edited texts, with regular updates to ensure that content is fresh. The ability to annotate text encourages close reading coupled with easy citation makes LaunchPacks an excellent tool for encouraging enquiring minds and independent learning. The editorially checked content is customisable and can easily be used to build lesson plans and ensure learning is both fun and relevant.